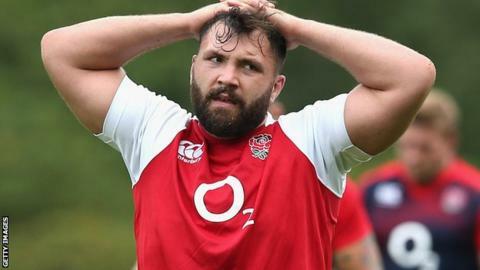 England prop Alex Corbisiero has left Premiership side Northampton Saints. The 27-year-old, capped 20 times by England, said in December that he would take a year out from the game once his Saints contract expired in the summer. He won the Premiership and European Challenge Cup in 2014 but knee, shoulder and lower-back injuries have limited club and country progress. Saints signed British and Irish Lion prop Corbisiero from London Irish in 2013, where the United States-born loose-head had progressed through the club's academy to play 79 first-grade games. However, fitness curtailed his Saints outings to just 30, and knee surgery this season has ruled him out of the current campaign thus far. "Alex has made a big contribution to the Saints, on and off the pitch, and we've all been frustrated that he has not been able to make a consistent run of appearances in the first team," said director of rugby Jim Mallinder. "We wish him success in whatever he decides to do in the future."